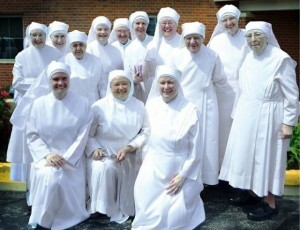 The ruling comes after lawyers for the nuns pointed out that in order to claim their exemption, the administration is requiring the nuns to sign a “permission slip” that would allow their insurance company to offer coverage of contraception, abortion-inducing drugs, and sterilization over the nuns’ objections. The Sisters argue that participating in the process in any way would make them party to mortal sin. Even the fact that the government would pay the insurer for the coverage, and so costs would not fall on the Sisters, fails to address this concern, they say. An earlier ruling by Supreme Court Justice Sonia Sotomayor allowing the Little Sisters protection from enforcement of the mandate was challenged by the Obama Administration. According to Alliance Defending Freedom Senior Legal Counsel Matt Bowman, to date, in 20 decisions involving non-profit organizations, all but one have resulted in an injunction barring enforcement of the mandate. Additionally, 35 out of 41 injunctions handed down involving families and businesses have also blocked the mandate. With files from LifeSiteNews correspondent Dustin Siggins. These spiritual Spartans exemplify what is meant by the term – “the land of the free and the home of the brave”. God loves ’em!